Monster munchies is a new slot with a fun cartoon theme from the company booming. The game has five reels and an adjustable number of play lines, which can be set in the range from 1 to 25 and a minimum bet of 0.01 Euro per game line. This slot has only one bonus game – in the form of 10 free spins. The game slot has a very simple design, the screen is located on the background of the kitchen, executed in a minimalist style. On the reels there are symbols of multi-colored jelly cubs and freakish monsters. Wild symbol also has a very simple appearance and is depicted in the form of a green inscription Wild. 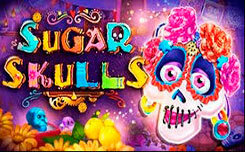 Bonus game free spins starts when there are at least three characters with the corresponding inscription, after which you will have ten free spins, but without any additional functions. However, it is worth noting that wild symbols can fill the entire game drum. 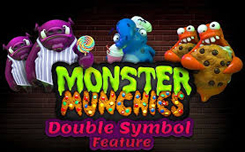 In conclusion, we can say that the monster munchies slot will appeal to many fans of interesting and fun slots with unusual cartoon characters, however, the lack of additional bonuses in it can significantly reduce interest in this game for more fastidious players.